A dual Sided 1/2inch thick MAXIMUM MICROFIBER TOWEL! No description could do a towel of this caliber justice. Microfiber Max is truly amazing. It is so soft it will make you re-think if you even need a pet around. It's Big, it's fat, it's chubby, it's soooo soft, it has silk edging and it has over 250,000 fibers per square inch. It's so nice you want to just fold it in half and keep it in your lap at the office and simply just pet it. Whatever you do with it, we can guarantee it is the best and fattest towel ever. It has 2 side a yellow one and a gray one. In a word it is radical. Did we mention how thick it is? Just Look at the Weave. Extra plush, absorbent, exceptionally soft, lint-free and 100% scratch-free. ITS Thick! This Towel is really really thick! Designed with the latest innovations and finest newest generation of microfiber fabric. Constructed with a dual pile weave, 2 sides of the thickest, fattest, longest fibers available. 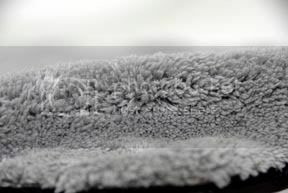 100% silk banded edging eliminates the scratching and swirls while guaranteeing the towel stays soft and proper even after hundreds of washes. 70/30 ultra-premium blend of Polyester and Polyamide. The fibers are precise split fibers with a spiral pattern, to deliver the softest most absorbent microfiber . SUPER Soft Dual-Sided plush pile. 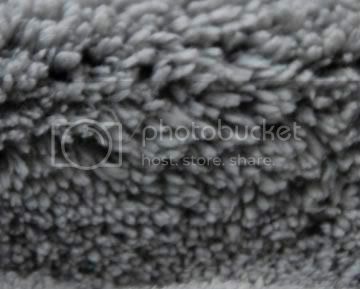 Microfiber Edges Inside Stitched Super premium towel. best suited for anything from Quick Detail & Waterless carwash products. 250,000 strands in every square inch of highly refined loop-woven microfiber. premium blend made in China. designed to be an effective cleaning tool under wet or dry conditions. 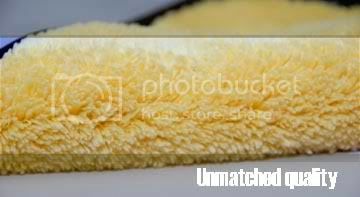 premium 100% ULTRA PLUSH SUPRA microfiber weave is positively charged and attract grease, dirt particles, and dust, even without chemicals.